Set This Circus Down: today's the day. i'm a bonafide adult! In celebration of this monumental and exciting birthday, I have decided to open my blog up to questions. Because clearly I have some life experiences under my belt now that I'm 30, LOL!!! And please don't let me look lame... Someone. Anyone. Please ask a question. Pa-leeeease. You don't want to make a birthday girl cry, now do ya?! Ask me about anything and I'll do a blog post responding to everyone... this could be so fun, right?! Happy Birthday !!!!! You better be going out and celebrating tonight :) and your a lucky girlie cuz you get to go on a vacation soon for your friends wedding right? :) I'm super jealous!! Question time: 1) how did you get the courage to leave your family and move cross country? 2) Who is more sensitive you or Bryan? 3) Being that you travel everywhere... What is your dream vacation? 4) Are you planning to have babies? What was it like leaving the west coast for the east coast? emotions? do you wish you could go back? Happy birthday!! I hope you're doing something fabulous! HAPPY BIRTHDAY TO YOU!!!! Hope it's a fantastic day!! If you could have one Do Over moment in your life, what would you fix? -Do you feel any different being 30? -Is there a habit that Bryan has that you aren't particularly fond of: ie -- nail biting, chews with his mouth open, leaves his laundry on the floor? Happy 30th birthday!!!! I hope you have an amazing birthday!! If you could eat one thing for the rest of your life, what would you choose? 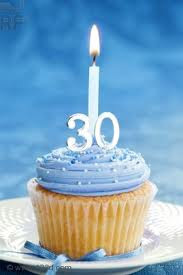 Happy B-Day to my beautiful daughter-in-law - #30, huh!!! Is #30 hard for you? It was my most difficult. My question is this: when are you wanting to have bbbaabbiess?! Question: Why did you decide to move to NC?? I'm a California girl and my BF is from NC and always tries to convince me to move there. I'd love to know why you chose to! Happy Birthday!!!!!!! You are so old...NOT! What are y'alls plans for your birthday anything fun?! (That's wasn't the ask me anything questions. lol.) I'll have to get back to you with those! Happy Birfday to you pretty lady!!! Soak it up and have a tasty beverage! Happy Birthday Kate! :) The big 3-0! I'm a day late...but still wishing you the happiest birthday!! And as for a question..instead of 30 things you would like to do before your 30...how about 5 things you would like to do before you are 40? Happy, happy birthday! Sorry I missed the actual day. For my question, I'll make it an easy one. What is your favorite kind of cupcake?